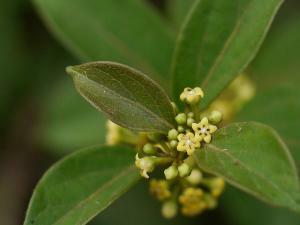 e: 18pt;">Traditional Indian herb gymnema sylvestre may help lower elevated blood sugar levels. Reducing sugar absorption. Gymnema has been shown to reduce the absorption of sugar in the digestive tract. Supporting beta cell function. Gymnema may increase insulin secretion and even regenerate insulin-producing beta cells. Enhancing sugar metabolism. Compounds in gymnema may be capable of enhancing the usage of sugar for energy. 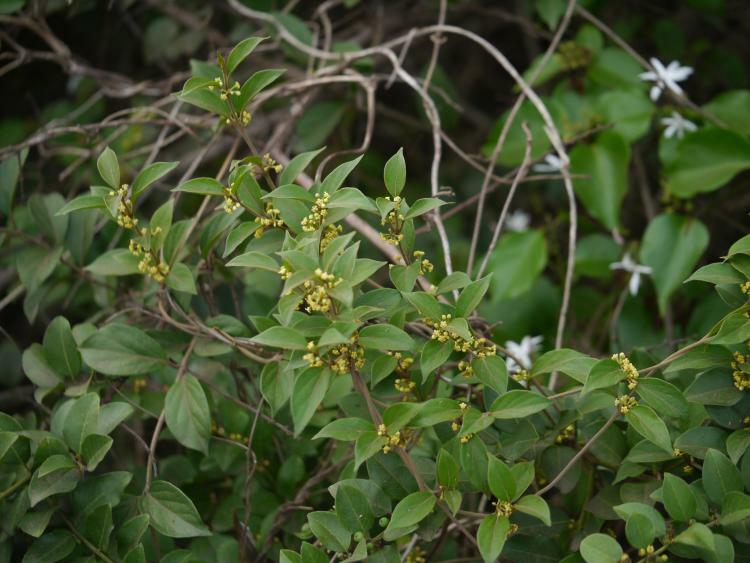 Gymnema sylvestre is a woody vine native to India and tropical Africa. It is known as “Meshasringa” in India, where it has a long history of use in Ayurvedic medicine. Gymnema’s traditional uses include the treatment of diabetes, asthma, eye issues, inflammation, cough suppression, and digestive issues. 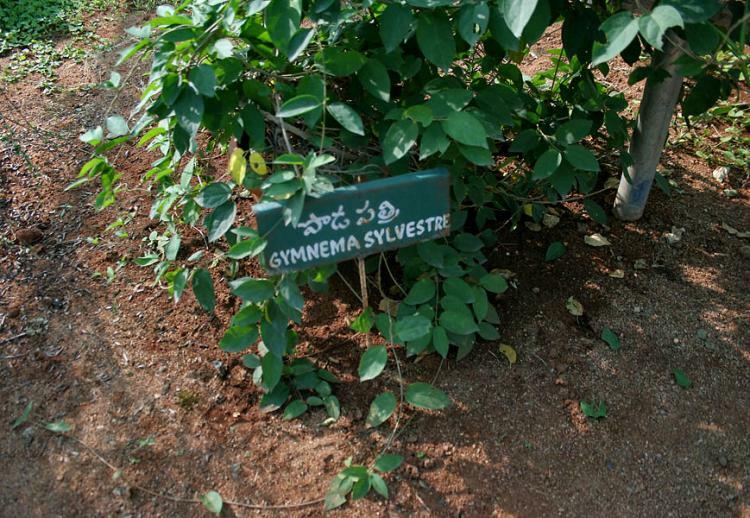 Gymnema is also known as the “sugar destroyer” because chewing its leaves prevents you from tasting sweetness. As such, it’s not surprising that researchers have uncovered hypoglycemic properties in this plant. Today, gymnema supplements are most commonly used by diabetics to lower their blood sugar levels. But while animal research is promising, more human studies are needed to confirm its effectiveness. p>The most research-backed explanation for the hypoglycemic effects of gymnema is reduced dietary sugar absorption. Gymnemic acids are capable of binding to receptors in the intestine, preventing the absorption of glucose.2 In turn, this leads to less glucose reaching the bloodstream. p>Gymnema supplements are widely used by individuals with hyperglycemia, prediabetes, and type 2 diabetes to help lower their blood sugar levels. This use is backed by animal research demonstrating reduction of blood sugar levels in hyperglycemic and diabetic rodents. In addition, what few clinical studies have been done seem to confirm these benefits in humans. Nonetheless, more high-quality research is needed to fully explore gymnema’s blood sugar benefits. Did you know? Gymnema sylvestre is not the only gymnema plant with blood sugar-lowering properties; other beneficial species include Gymnema montanum and yunnanense. >Human studies of gymnema sylvestre suggest that it can reduce elevated blood sugar levels in both type 1 and type 2 diabetics. This highly-cited study explored the blood sugar effects of gymnema in type 1 diabetics. A total of 27 patients on insulin therapy were given an extract of gymnema leaves called GS4 (400 mg) daily for several weeks. The supplementation reduced insulin requirements, fasting blood glucose, and Hba1c (measure of mean glucose) levels. This placebo-controlled study examined the anti-diabetic effects of three medicinal plants – gymnema, Artemisia absinthium, and Citrullus colocynthis. A total of 32 people with type 2 diabetes were divided into 4 groups for 30 days: one for capsules of each plant (1 g daily), and one for placebo. Gymnema had the strongest hypoglycemic effects, reducing fasting blood glucose levels by 37%. Gymnema leaf/stem powder. Powdered gymnema stem or leaves, typically sold in capsules. Gymnema extract. An extract standardized to contain at least 25-35% gymnemic acids, the main active ingredient of the plant. GS4 Plus®. A patented brand of gymnema sylvestre extract which is one of the only forms used in human clinical trials. Gymnema sylvestre extract, 400+ mg blood sugar, as GS4 Plus. We recommend trying gymnema sylvestre for blood sugar control. So far, scientific evidence supports gymnema’s ability to reduce elevated blood sugar levels. However, more high-quality clinical studies are needed for a conclusive recommendation. GS4 Plus may be better than generic extracts. We recommend using the GS4 Plus gymnema sylvestre extract if possible, because it is one of the only gymnema preparations proven to lower blood sugar in human studies. Otherwise, use a generic standardized extract.